Visit the unique landscape of Georgian Bay and its 30,000 Islands. 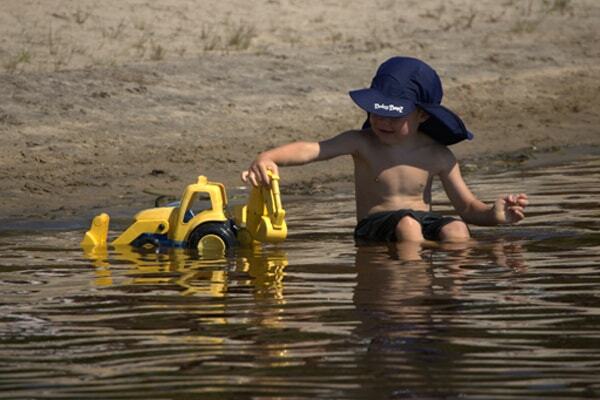 Wawanaisa Resort is located on a sheltered inlet and is an ideal Ontario cottage rental location for the entire family. Explore the many islands and coves by canoe, kayak, or a small motor boat. A classic cottage resort for a relaxing vacation. 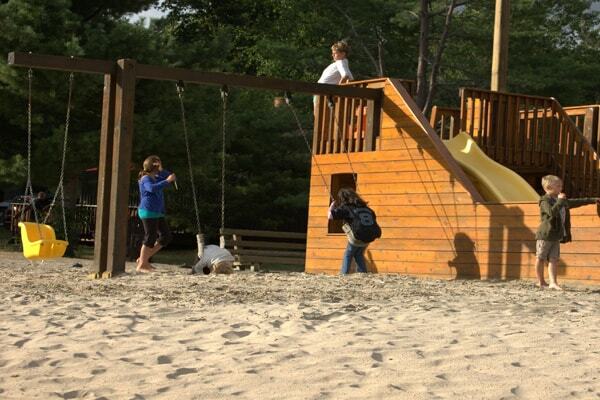 The kids will enjoy the pirate ship playground. Sightseeing among hundreds of islands in one of our excellent boats will take to you an endless number of places to enjoy fishing, swimming and relaxing. The whole family will enjoy the 300′ of sand beach with excellent swimming. Waterfront accommodation in clean housekeeping cottages have 1, 2, or 3 bedrooms. Full kitchen, 4 piece bath, living, dining room with sofa and chair or sectional, electric heat and color TV. Sundeck and stone BBQ. 300′ of sand beach with playground. We promote a deep respect for the environment, and wildlife. Check out our solar powered beach shower and solar hot water system for the laundrymat. 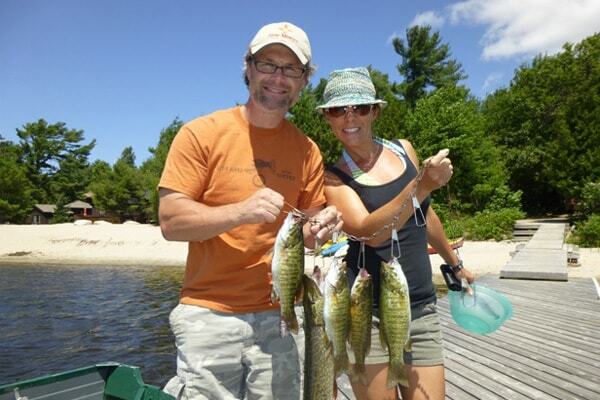 Be a guest in our small, quiet Resort and simply relax and enjoy fishing, boating, and exploring Georgian Bay. Windsurfing, kayaking, canoeing and mountain biking are included with cottage rentals. Stay in shape, there is also good biking and running on quiet back roads to maintain your training and fitness. Experience hiking over rugged terrain along the shores of Shawanaga, try nordic walking on our trails. If you are a cross country skier, you may like to try roller skiing, equipment is available. A family boat picnic, one of the most popular family activities in the area is enjoyed by all members of the family. Sightseeing among hundreds of islands in one of our excellent boats will take to you an endless number of places to enjoy fishing, swimming and relaxing. A shore lunch or picnic adds a memorable part of your vacation for everyone in your family. We take pride in being a family resort so please no pets, seadoos, or loud radios. Please check our resort policies page for full details. We are open from June to September. Our family has owned and operated Wawanaisa since 1975. Interested in Renting a Motor Boat? To operate a boat you need either an Operator's Card or a Renter's Checklist. 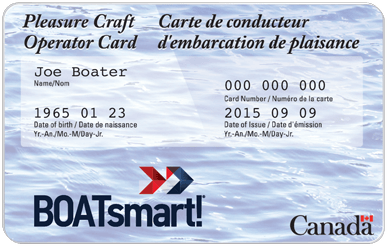 If you are renting a boat from us and do not have an operator's card, the checklist will suffice. 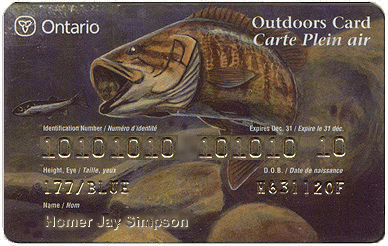 Fishing licences available for purchase online. Fishing licences are not required for Canadian residents under age 18 or over 65.